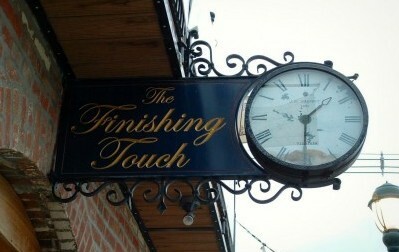 The Finishing Touch is located just off the square in historic, downtown Winterset, Iowa. Inside our humble brick exterior lies a beautiful an eclectic mix of carefully selected and hand-made items for yourself, your home, or a lucky recipient on your gift list. In addition, we offer state-of-the-art tanning and sauna services in our restored upper level and a showroom for Madison County Cabinetry, made by Mark Ellwanger of Winterset. Stop by and visit us to see all that The Finishing Touch has to offer, for you and your home.